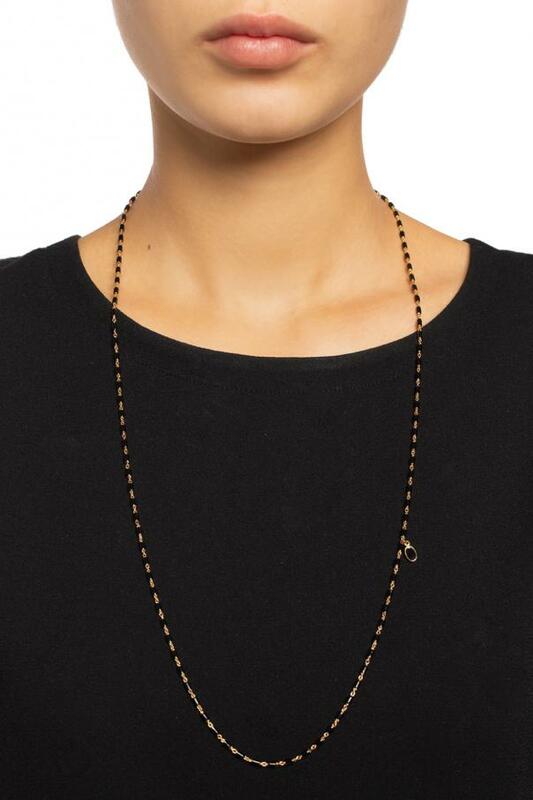 Gold-tone brass necklace on a chain from Isabel Marant. Carabiner closure. Enriched by black decorative stones.